Believing and Building - our mantra at Harmony! The past two weeks have been super intense for us — a growing team, laser-focus on development and kickstarting our strategic partner program. If we go deeper, and look beyond the usual startup craziness, a lot of these moments and events have been about two things: believing and building. Let me try to uncover this. Some of the Harmony team members feeling grateful on thanksgiving! When I look back at the first time I met Stephen (founder of Harmony), I couldn’t quite believe in the audacious vision he had for Harmony. But, I did respect the 10x mindset that he and the founding team of Harmony possessed. After all, these were some of the smartest people I met in the valley — impressive Ph.Ds. and an invaluable experience in building large-scale systems (at Google, Apple, Amazon) that touch billions of people every day. They really possessed a rare combination of a daring founder mindset and pragmatic execution. I wanted to understand who they were and what they really wanted to do at Harmony. So, I ended up meeting the founding team thrice, within one week, each time, having a 4-hour long chat that helped me understand what they intended to do and why. Besides getting to know about their roadmap, I learnt a lot about what mattered to these individuals and what kind of values and principles they really cared about. So after these conversations, it didn’t take too much thought to jump off the cliff with them to make our vision of bringing blockchain to billions of people, a reality. I shared this story because every time we have a new member join our team, I experience a similar feeling, of inspiration. And moreover, this story always reminds me to keep on chasing the vision I aspired for, when I joined Harmony. Recently we had three rockstars, two who previously worked at Amazon and an ex venture investor, join our team. Not only does their stellar experience give us more momentum, but their belief in building a truly decentralized and scalable blockchain platform also compounds our belief in what we’re doing. When you’re building a startup, you really think a lot about three things in order to be successful — Product, Market and Team. And I resonate a lot with what Marc Andreessen says when making a tradeoff between these three while picking which startup to invest in - “We struggle from a distance to evaluate market. And we also actually struggle to evaluate product. But if you can get yourself in business with really good people, it works it’s great. 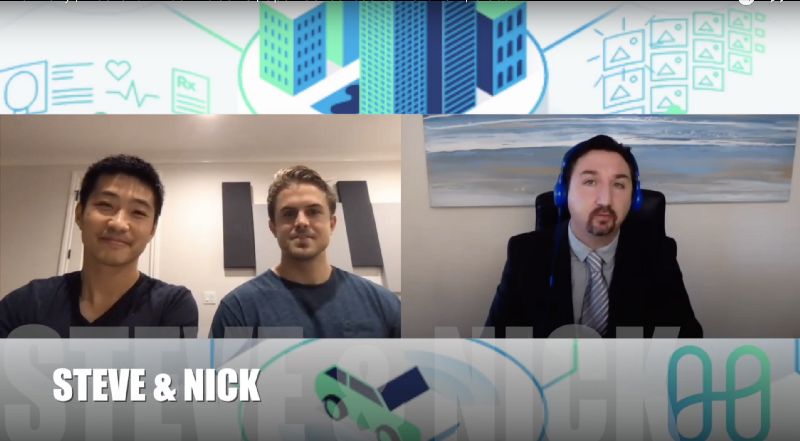 Because those are really good people to be in business with and they can build something great.” Check out this podcast in case you want to dive deeper. Our team has grown to 12 all-stars, and our belief in what we’re building, and in the future of blockchain technology has never been stronger. Such trendsgive us more energy! 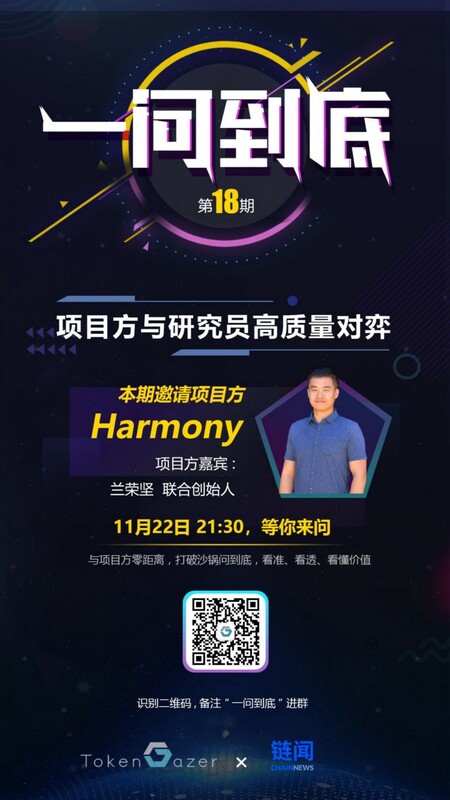 Harmony team has been heads down building our blockchain platform. Whether it’s summer or winter, our pace of development is unshattered. We’re very excited to release more details about our testnet soon. In the meantime, this week we were delivering presentations on our technical architecture and getting feedback from the community. We were excited to talk about some of the novel innovations we’ve made in our technology stack. In case you’re a networking nerd, like some of our team members, do check out our recent open-source contribution — Libunison, a peer-to-peer networking library that leapfrogs performance in gossip protocols within blockchain networks. You can read a detailed article on this here. 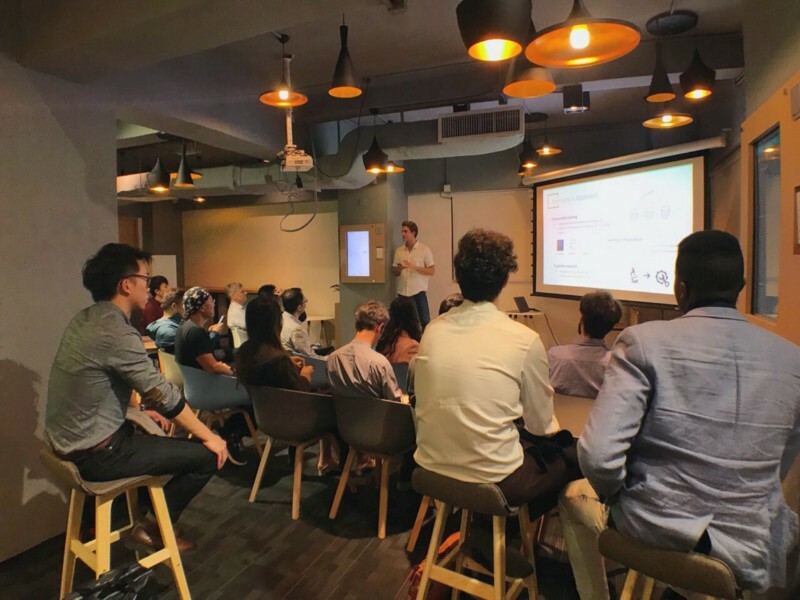 Nick White was in Hong Kong this week and had 3 meetups with our community. He got a great response on our full and secure shardingarchitecture. Rongjian was invited for a Ask-Me-Anthing (AMA) by Tokengazer, focusing on our Chinese-speaking community. You can read about the talk here. 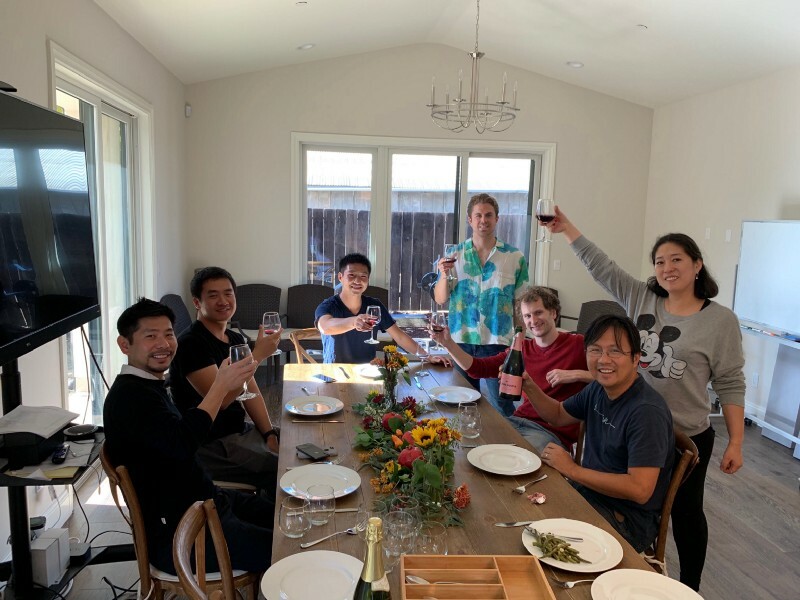 Nicolas, Li and I were at Starfish-Mission San Francisco to talk about our technical architecture and our strategic partner program. We already signed up the first few community members who want to run nodes for the Harmony blockchain. 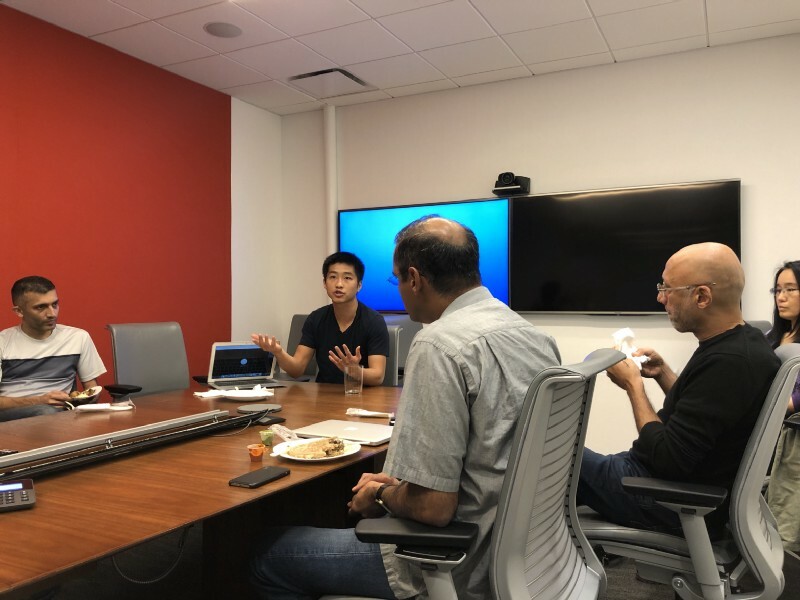 Stephen, was mentoring a few startup founders from the Xoogler community at a Founder’s lunch on 11/30 afternoon. 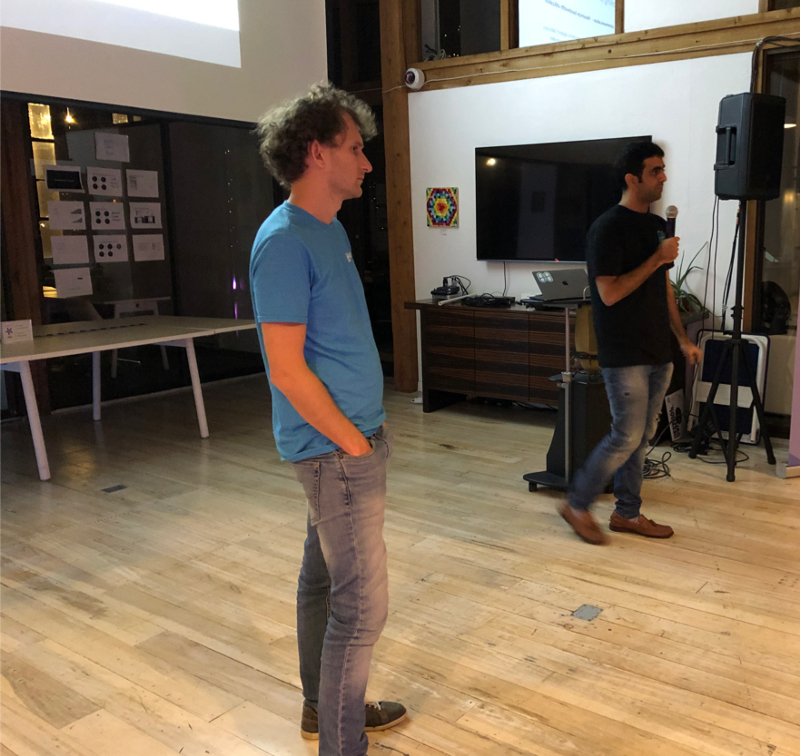 Besides, some of our technical team was interacting with Philipp Jovanovich, one of the creators of Omniledger protocol, at the Stanford Bitcoin Club event on 11/28. We will keep you updated about our development progress, community events and strategic partner program in the coming days.